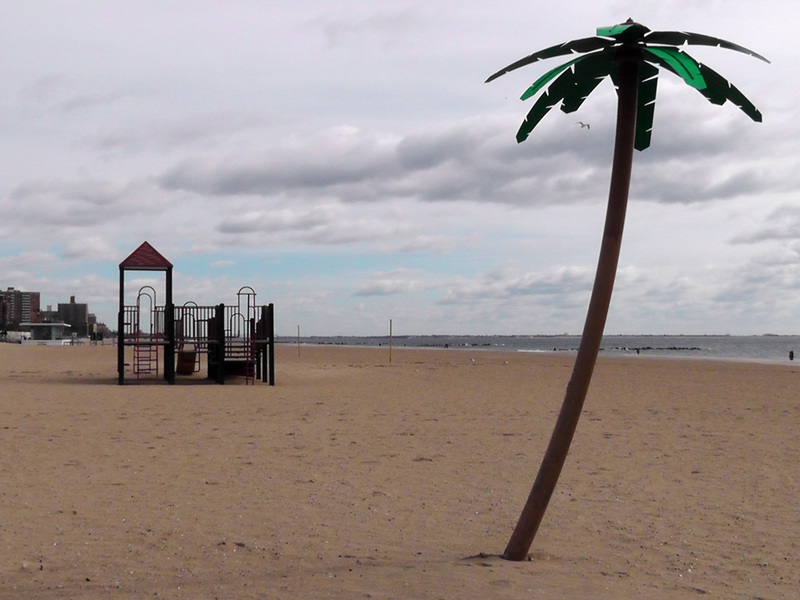 Mr Brown and the Coney Island Blues | Where's my backpack? I went to Coney Island last weekend. Admittedly, it’s an odd time of year for a seaside visit, but I’m not your run-of-the-mill seaside visitor. My idea of the seaside is a bracing walk across windswept sand dunes; not beach towels, crowds and suntan lotion. There’s a name for this condition – it’s called being Irish. 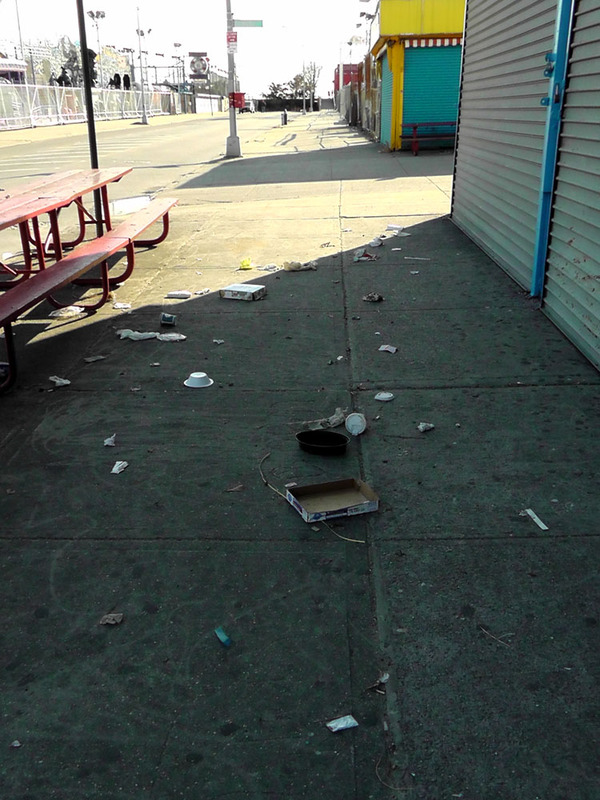 Why Coney Island? Well, the urge to smell the sea breeze struck me rather late in the day on Friday, and Montauk – which is most definitely on my to do list – and other Long Island destinations would require a bit too much planning and possibly an overnight stay. 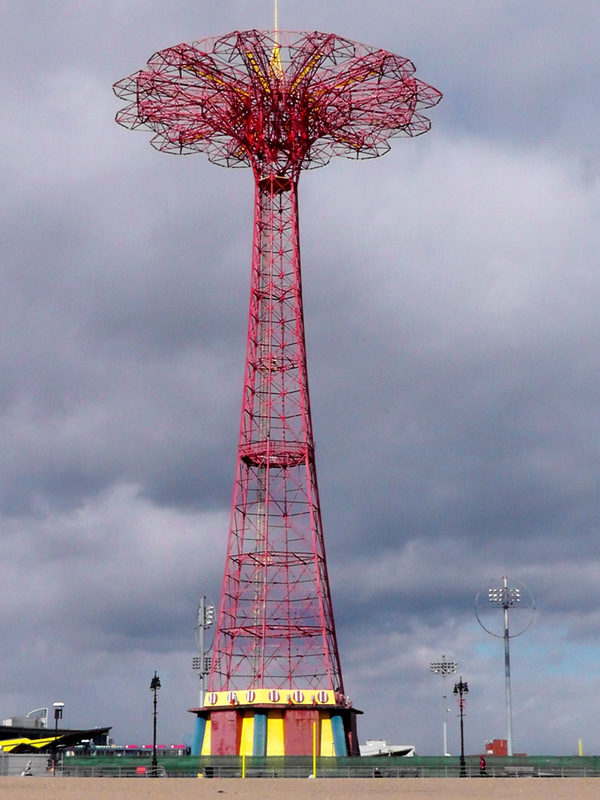 Coney Island, on the other hand, is just a subway ride away. 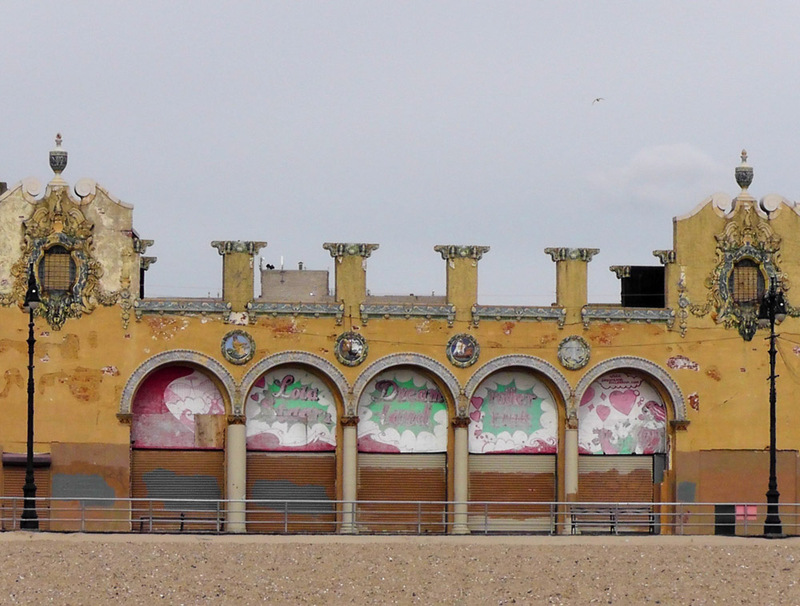 I also had this vague notion that there was something of a faded glory about Coney Island; an echo of its heyday. 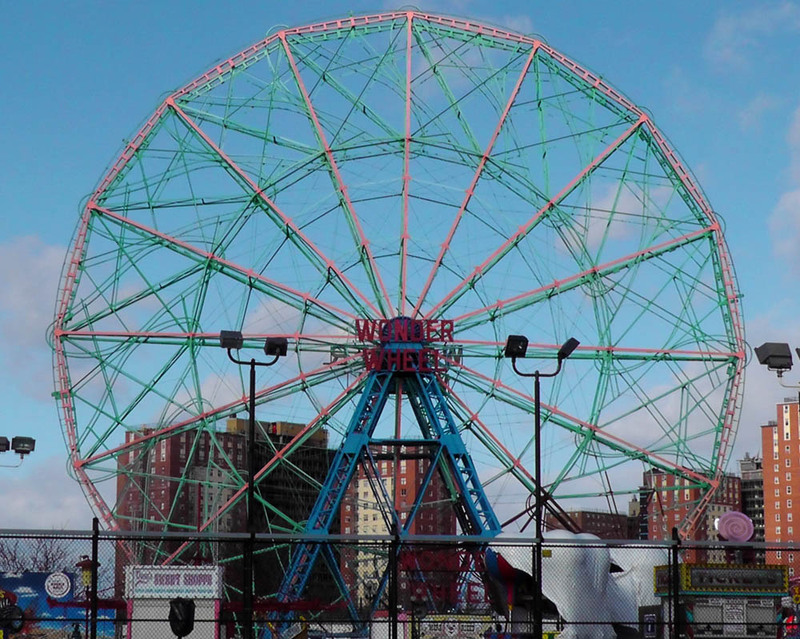 The only images I had in my mind were of the Wonderwheel, which has appeared in the background of several films, and that scene from the Tom Hank’s movie ‘Big’ where he goes looking for the fortune teller machine. As it turns out, that scene was filmed in Playland in Westchester County, so my imagined Coney Island was well off the mark. I hopped on the N train at 9am on Saturday morning. The subway car was almost empty. There was a mother and her toddler halfway down the car, and a guy in his forties clad in varying shades of murky brown sitting across the way. He drained his mondo-sized can of beer, opened the connecting doors to the moving subway car, tossed the empty can out onto the tracks and set the tone for the day. He then reached into his murky brown backpack and pulled out a brown paper bag, took a swig and hurriedly stuffed it away, throwing a glance around to see if anyone had seen. I gazed off into the distance, feigning ignorance, as the fumes of cheap liquor filled the air. At each subway stop, the brown paper bag came out of the backpack for a quick swig with the regularity of a Pavlovian response. I put on my sunglasses at some point, tired of pretending to stare vacantly into space. Somewhere around Bay Parkway, the brown paper bag and its contents followed the mondo beer can out the connecting doors onto the tracks, and was replaced by another brown paper bag that had been lurking in the depths of the murky brown backpack. I breathed a sigh of relief as the train pulled into the Coney Island station and Mr. Brown (for so I had christened him, with more than a nod to Tarantino’s Reservoir Dogs) staggered down the platform. Right, I thought, in a terribly chipper, upbeat kind of way, let’s get this adventure started. Following signs for the boardwalk, I followed the street from the station through the deserted amusement parks. There was a very strong wind blustering through the empty fairgrounds, creating an extremely loud and decidedly eerie howling sound. The howling seemed to emanate from the ghost ride, although perhaps it was just my imagination. 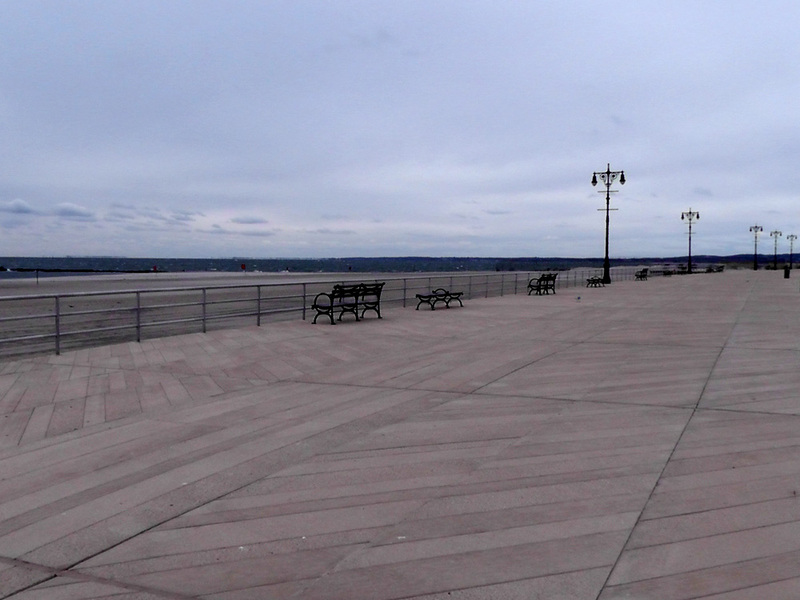 I climbed the steps to the boardwalk. To the right, it was almost empty. To the left I spotted Mr. Brown weaving his way towards a pagoda. I turned right and wandered along the boardwalk for a short while, past the Wonderwheel, the parachute jump and metal palm trees sprouting out of the sand, stopping to take in a billboard featuring black and white photos of Coney Island in the good old days. The boardwalk itself was actually quite lovely. 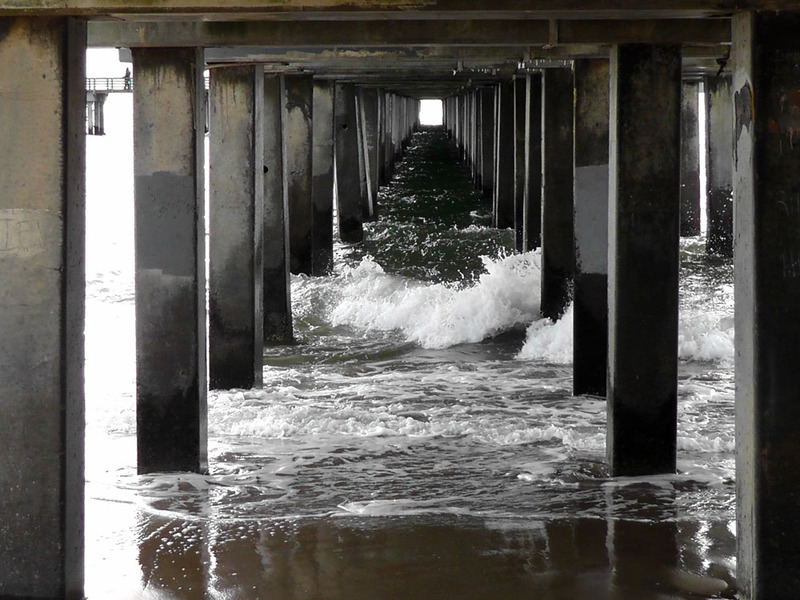 Venturing off the boardwalk across the sands, I ambled along the shoreline, watching gulls crest the rolling waves and paused to take a few photos under the pier. The wind was piercingly cold. I had thankfully worn layers of fleecy clothing, but had neglected to bring a scarf that I could wrap around me, so had to stop periodically to warm my face with my hands. I was glad I had remembered my sunglasses, as the wind was getting stronger and began whipping up a sandstorm, creating almost whiteout conditions at times. Waves crash against the rocks. Mr Brown’s bottle too, probably. Further along, I spotted a hint of the faded glory I had been looking for. Hurrah, I thought, this is what I came to see. The boardwalk ended abruptly far too quickly. Rather than walk back the way I came, I cut across to the north to check out Coney Island Creek Park. There was no shore access along the way, as the left hand side of the road was a gated community. The right side was high-rise low income housing. I’ll be honest, the high-rises looked marginally more appealing, as the gated community was more of a meshed community, encircled with prison-like high mesh fencing; big boards of timber leaning up against the mesh. It was not the most attractive street. At the end of the street there were sand dunes and tantalising glimpses of the creek beyond. I pushed onward to reach the park but what a sight greeted me when I arrived. 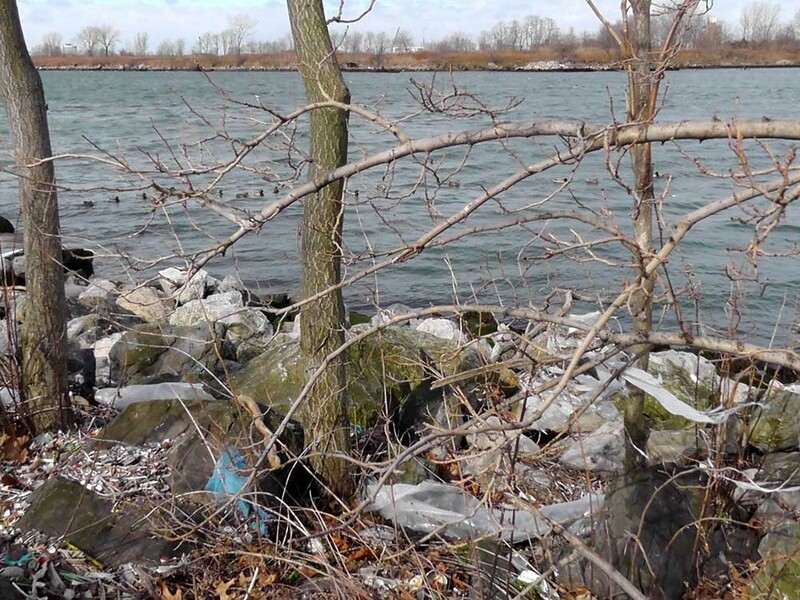 Litter covered the shores and banks of this forlorn little creek. 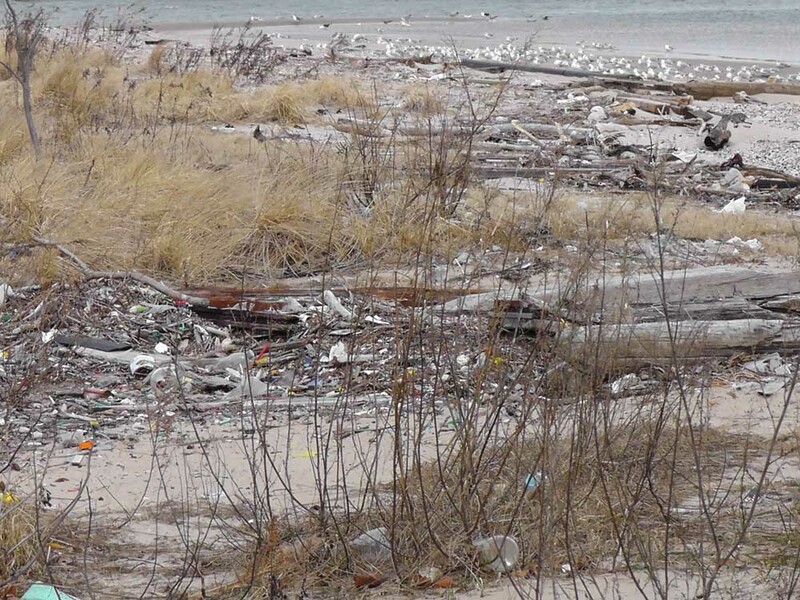 There was an abundance of wildlife doing their utmost to avoid bobbing bottles in the water, plastic bags wrapped around trees, cans embedded in the sand and discarded car seats tossed onto the shore. This wasn’t fresh litter, this had been there long enough to embed itself into the landscape. 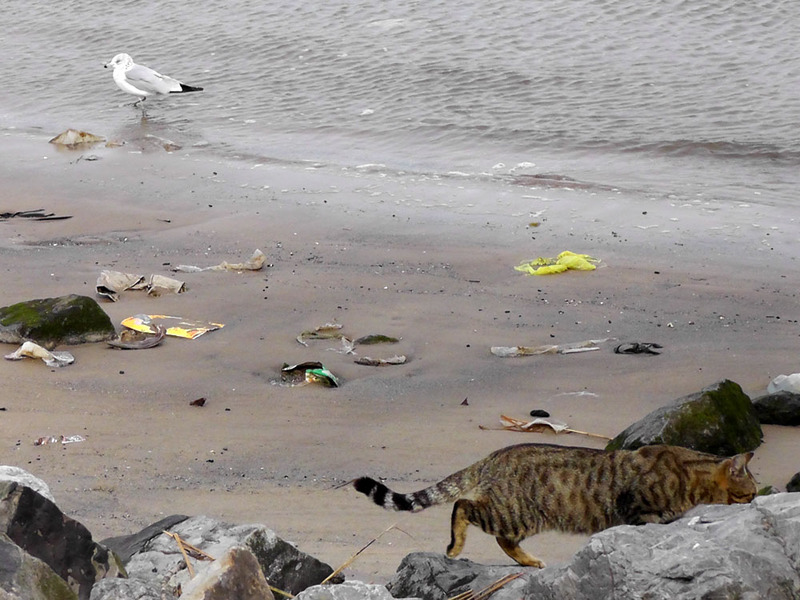 Spilled paint stained tree roots and a feral cat stalked waterfowl along the banks, settling instead for a half-eaten Big Mac still in its wrapper. It really was one of the most distressing sights I have seen in a long time. A little old couple smiled as they walked hand in hand past me on the pathway and I was struck with the overwhelming sadness of the place. Didn’t that little old couple deserve somewhere beautiful to walk hand in hand? 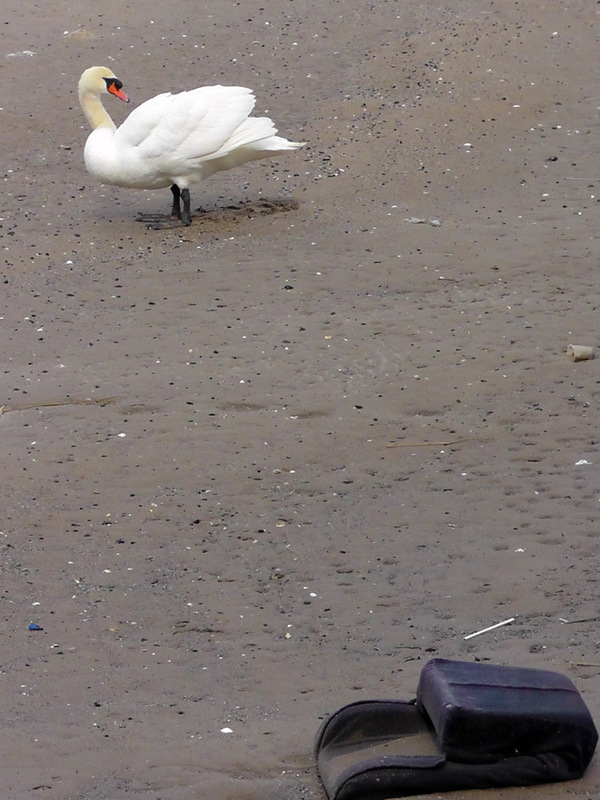 Didn’t the wildlife deserve somewhere clean to live? What has happened here? Why does nobody do anything about it? Easy questions to ask, I know. Not so easy to answer. Believe me, I thought long and hard about writing this post, but felt I would be somehow complicit if I didn’t. I hastened away from this tragic little park and took the nearest street towards the boardwalk. As I looked along the street I saw the bare branches of the trees aflutter with what looked like Halloween decorations. It took a few seconds to realise that what was fluttering were plastic bags. Hundreds of them, caught in the branches of every single tree along the street. I didn’t take any more photographs. I walked, hands in pockets, head down against the wind, back to the boardwalk, through the deserted fairgrounds and back onto the next N train out of there. It has taken me over a week, plus two wonderfully reaffirming encounters with peacocks and parrots, to find it within myself to write about how last weekend made me feel. I went to Coney Island in search of a little piece of Americana from a bygone era. What I found in its place was a big slice of Americana from our current era. And it made me sad. For more about New York, read Ferryland, Two Subjects, Reflecting Absence, Top of the Rock vs The Empire State and Manhattanhenge. This entry was posted in New York, Photography, Travel, United States and tagged environment, nature, photography, photos, pictures, postaday, travel, wildlife, writing. Bookmark the permalink. I love this post! 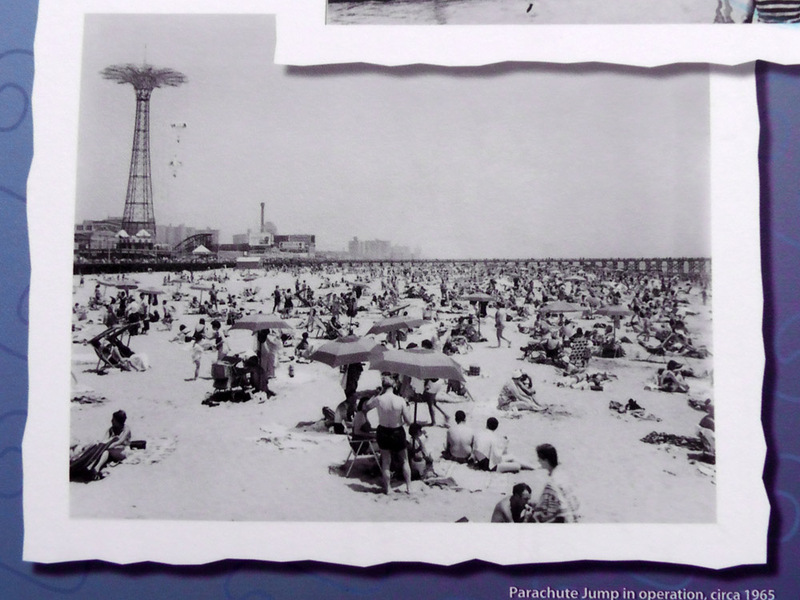 Your prose and photographs paint a very emotive picture of Coney Island at this time of year. Please go back again in summer! The howling that you heard is the Astrotower! 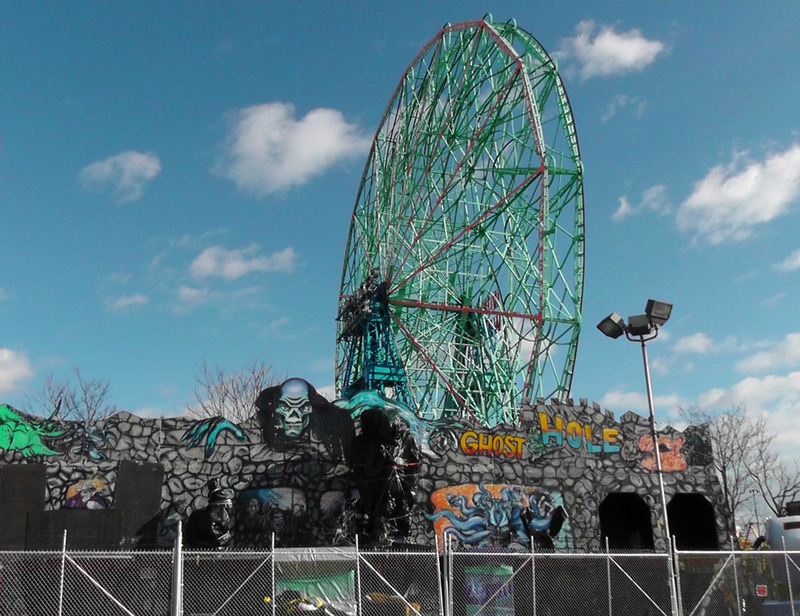 When the wind blows through it, the former ride, which is now out of commission, sings or howls. Is it possible that, in order to survive cheek-by-jowl with so many others, people live with their (metaphorical) sunglasses on; blind to the filth and poor quality of life in the Big City? If only they, like you, would open their eyes to see the beauty that still exists, just beyond. And I Love your iconic facade of faded glory. 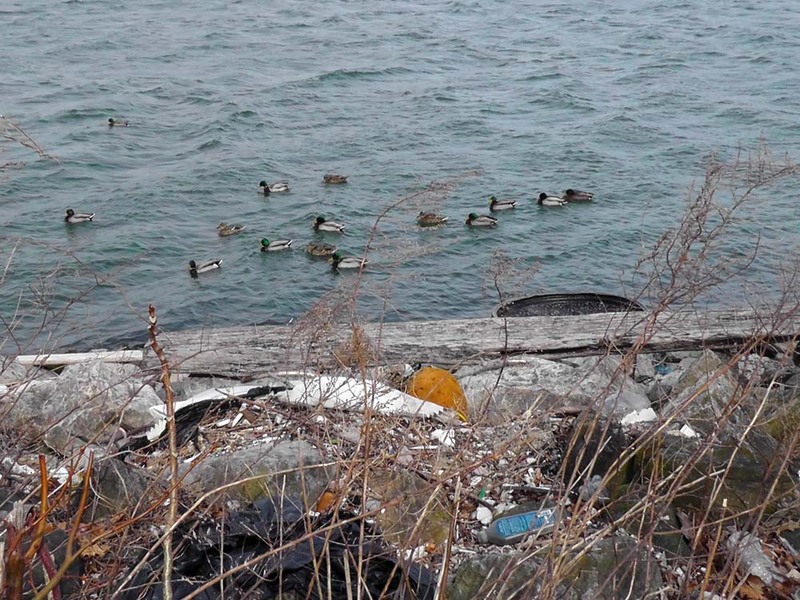 Pingback: Golfing geese and my own private beach | Where's my backpack? Manhattan is such an odd place. It is to all intents and purposes an island, surrounded by water, and yet it feels completely landlocked. 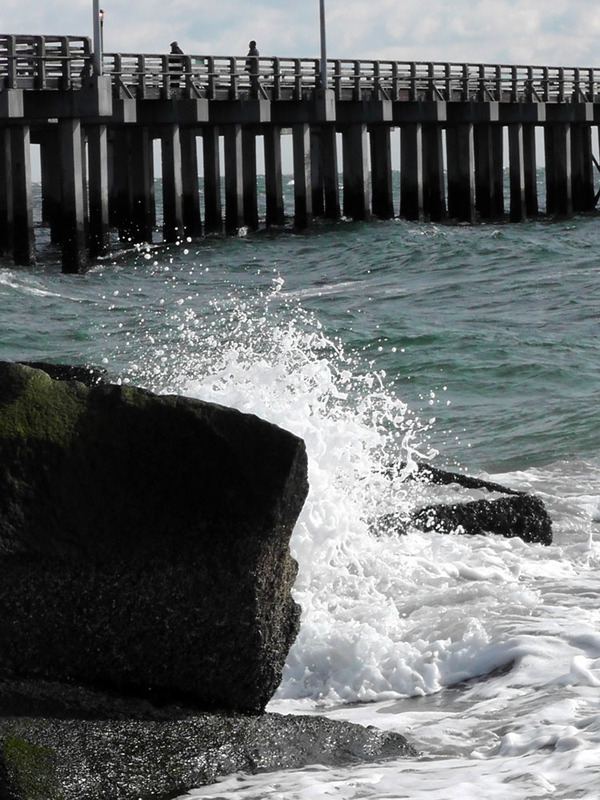 I love the ocean, there’s something so therapeutic about waves crashing against the shore. 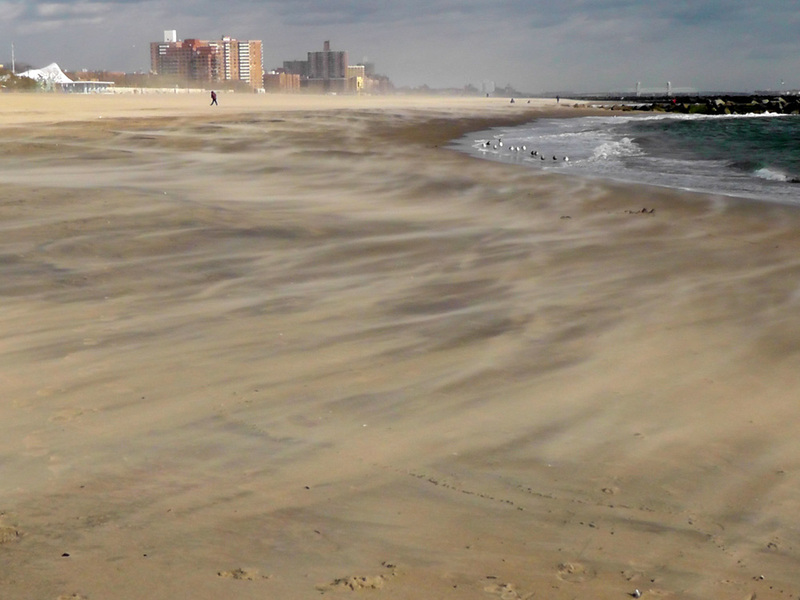 Coney Island was such a disappointment, but I have since found some wonderful beaches along the Long Island coastline.